For those of you who think that the newest opus from Jim Cameron was written and directed by the white-haired knight of Mega-Flicks, think again. The movie Sanctum (which opened this past Friday) was penned by underwater adventurer/documentarian Andrew Wight (who has not only worked with Cameron on various documentaries, but Sanctum is actually a revved up true-life story of his experience of being trapped in an underwater cave) and directed by Aussie Alister Grierson whose background is far more interesting than an action-adventure movie usually gets (he was a rugby player…sweet). You see, Grierson is a short-film creator who happened to move into the feature films when he wrote and directed the independent Aussie WWII movie, Kokoda (which is about a battle fought between Australian and Japanese soldiers along the Kokoda trail in New Guinea). The film was nominated for several AFI awards (the Australian Film Institute) and garnered Mr. Grierson with a whole lotta praise. 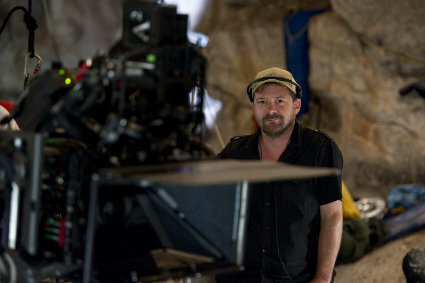 Which brings us to Sanctum, Grierson’s first big-budget film utilizing Mr. Cameron’s technology. And a whole lotta pressure. FOG! was lucky enough to get a little time with Mr. Grierson during his press junket and spoke to him about what it was like to work with Cameron and shooting in 3-D.
And I have to say, I kinda got a crush on him just a bit (but perhaps it was just the accent). FOG! : It had to be a bit daunting to get a call about directing a Cameron film. Did you have a complete freak-out or were you in denial that it was actually happening? The call did not happen out of the blue, it had evolved in a way so I had an awareness of it. It was a stressful kind of idea going into it thinking that he is going to be overseeing it, because his standards are pretty high in terms of the technical qualities of film. But it was exciting too because I got to learn from one of the masters. FOG! : With your background as a writer/director you’re pretty hands-on with all the aspects of film making, was it difficult to find a connection to Sanctum or did the subject matter appeal to you personally? When I first read the script I had no idea of the background of it (it is based on screenplay writer Andrew real life experience) or the Jim (Cameron) connection, it just appealed to me, the idea of it. It was exciting and kinetic and interesting and it would be a huge challenge to make. 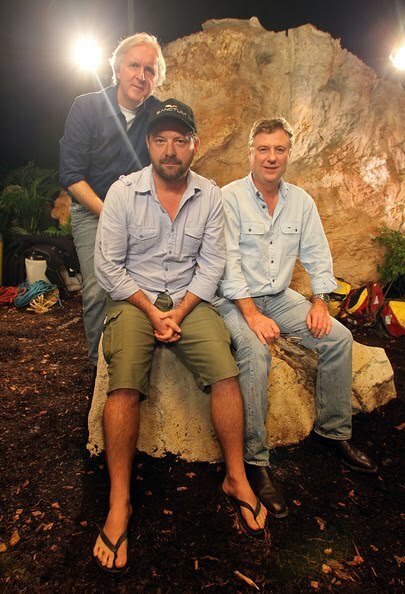 It is a different sort of process as a writer/director…but there are some similar thematic themes between this one and Kokoda only Sanctum was much, much harder to make what with working underwater and in caves. FOG! : Did you find working with a big budget more difficult than a smaller budget where you are required to think outside-of-the-box in order to make a movie work? …It’s harder to make in terms of the schedule and the business of making the film. We shot Kokoda in 25 days and Sanctum in 70, 20 of those days were spent underwater where you only get 30 seconds of usable material in a day. 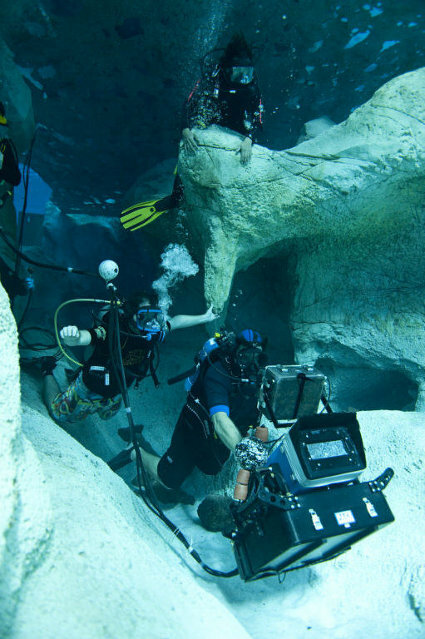 And working underwater is so laborious and time-consuming. FOG! : In recent years, Cameron has become known as a “technology-driven” director what with the advancements he’s made in 3-D, and most, if not all of the films he’s a part of, have been shot using this technology so was the use of the cameras difficult to get used to for you? Yes and no. There’s a lot of myths about 3-D and initially when you become part of the enterprise you want to spend a lot of time thinking about it, but that’s really a distraction from your main purpose. If you make the film and focus just on the 3-D you can lose your way on what you want to do day-to-day. Our method of shooting 3-D doesn’t really interfere with the set-ups. You just need to make sure you have a really good team. FOG! : I’m 37 so when we got the re-introduction of 3-D in the early 80s it came with Jaws 3-D and Friday the 13th Part 3 which was horrible. Do you think that a lot of the flack on 3-D is from people my age who have been scarred by fish heads and hatchets being shoved in their faces and can’t quite grasp that the technology has advanced past that? Sure, absolutely…for whatever reason the older generation is struggling to come to terms with 3-D and it isn’t being helped by the fact that in the last couple of years 3-D has been exploited to sell films and are poor quality, both in terms of the 3-D and the film itself…because of that people see it as an exploitation device and not an aesthetic device. Whereas I see it as an aesthetic device, in the same way when we moved from back-and-white to color, from stereo to 5.1 Dolby. The history of cinema is developing the technology to get close to replicating the real experience of being human and enhancing it and amplifying it. Cinema is really committed to giving people an experience. And certainly our film, I mean it’s not The King’s Speech in a cave, it’s action-adventure with larger-than-life characters doing crazy stuff and it’s a heart-beating, white-knuckle ride, unashamedly so and the 3-D enhances that experience. FOG! : So what’s next for you creatively? Do you want to go back to making short-films and independents or continue on with big-budget flicks? The problem with short films is how to make a living making short films. I like making them and hopefully, I’ll get the chance to go back and make more again, but for the moment what I liked most about working on this film was the scale of it, I found it exciting and the challenges of working with a bigger budget like more people, more machines. It’s really quite invigorating. As for the style, I’m trying to find the fusion between really good drama and the action, that’s why War as a genre appeals to me, it’s high-stakes for the character while at the same time being able to do something visually interesting, that’s the style of film making that appeals to me and what I hope to do next.